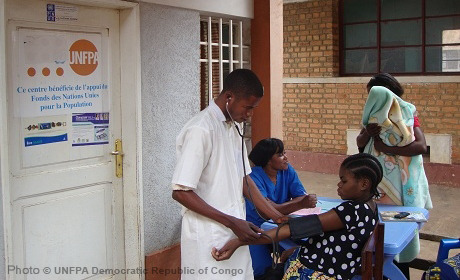 Still in a fragile phase of post-conflict reconstruction and peace-building, the Democratic Republic of the Congo is a least developed country with very high maternal and newborn mortality and HIV prevalence as well as a legacy of sexual violence. With families averaging 5 or 6 children, the population is very young and growing at more than 3 per cent per year. Working in the country since 1978, UNFPA aims to improve access to quality reproductive health care services – including HIV interventions -- and to integrate population and gender issues in national policies and programmes.